Two-Bedroom Suites feature a private master bedroom, a second bedroom with separate entrance. Suite includes kitchen and living space with ocean views. 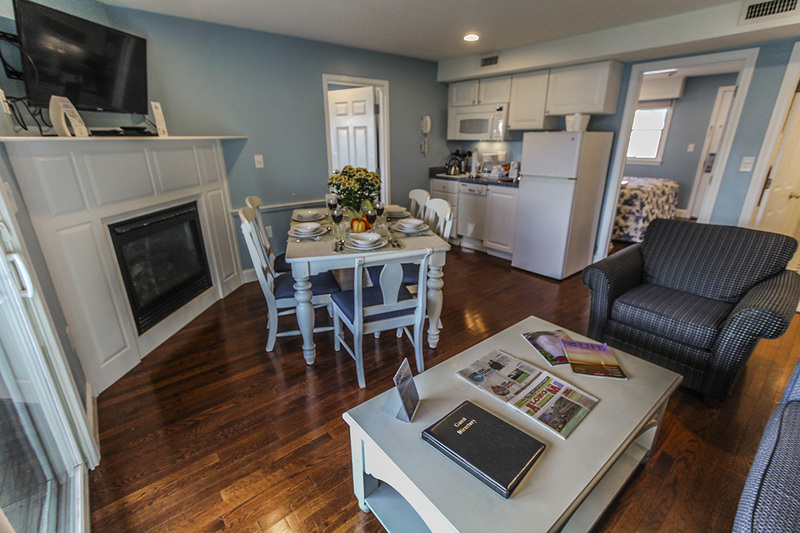 Each unit has a shared living space, small kitchenette, and full bathroom with shower/tub. 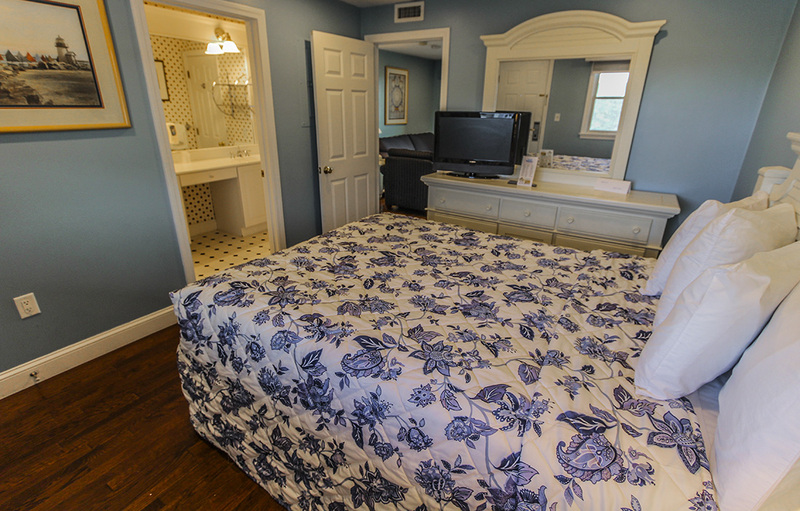 The master bedroom is furnished with a queen size bed, flat screen television, and a private second full bathroom. 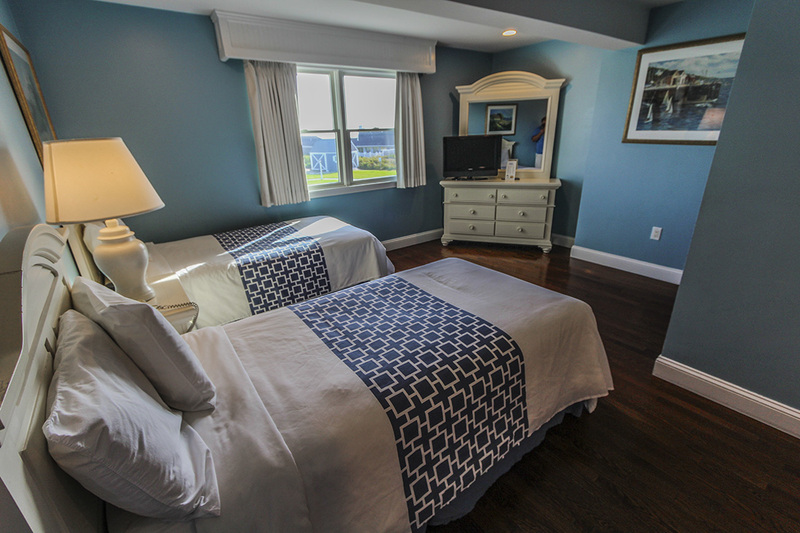 Most second bedrooms are furnished with two twin beds, flat screen television, and window views of the courtyard and ocean. Units are positioned around a courtyard in the East, Center, and West wings of the resort, both on the first and the second floors with fireplace. First floor rooms enjoy a partitioned outdoor patio with a 6 person patio table and umbrella, while second floor units are designed with a partially enclosed private balcony with table and seating for six. These units comfortably sleep six.